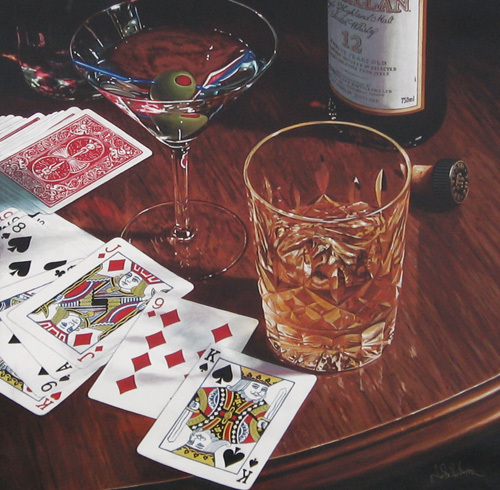 Nobu HAIHARA - PLAYING WITH A FULL DECK - After a round of 18 holes, many golfers enjoy a soothing drink and possibly a friendly game of Gin Rummy at the clubhouse . Playing With A Full Deck is a wonderful limited edition giclee print on canvas originally created as an oil painting by Nobu Haihara. This super realistic limited edition print is sure to be a wonderful addition to any art collectors home.